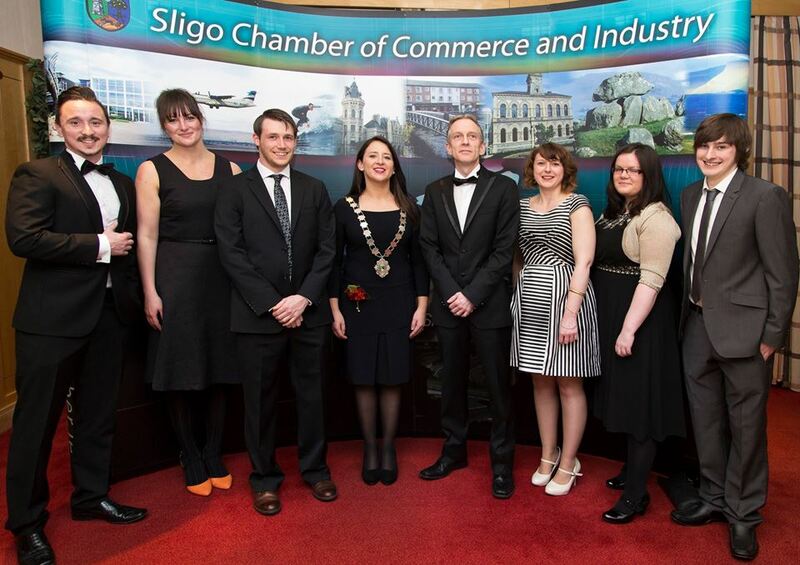 #PositiveSligo was the motto for last Saturday night at the Radisson Hotel in Sligo when the Chamber of Commerce held their annual Gala Dinner Dance. The twitter hashtag invited many to tweet their congratulations and praises whilst enjoying food and drink (multitasking is everything!). 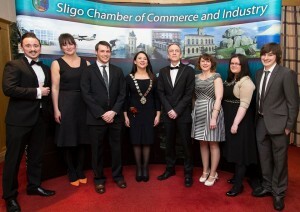 The event was attended by many Sligo businesses and complimented, amongst others, by speeches from Failte Ireland’s John Concannon, Sligo Business Person of the Year 2014 Tommy Higgins and OSD’s own Managing Director, Chamber of Commerce President Catriona Walsh. All three speakers had the same subject in mind – to promote, embrace and stand proud by Sligo, even though reinforced by slightly different angles. Whereas John’s presentation had a strong focus on the scope and opportunities of the Wild Atlantic Way and also on the buzz the Fleadh brought to Sligo this year, Catriona highlighted the phenomenal work the Chamber members have put in, including the Invest Sligo campaign, as well as other events, activities and the cooperation with other business bodies like IDA Ireland, Enterprise Ireland, IT Sligo and Failte Ireland. The award for Sligo Business Person of the year went to Tommy Higgins, who in his speech reminded of business basics: have the ambition and the drive and be the best in what you do. But he also mentioned that there is no other place in the world that lets you ponder upon business decisions whilst talking a walk at Rosses Point beach with the stunning backdrop of Ben Bulben. Needless to say, his words received standing ovations. The night was wrapped up with the entertaining Sligo band “Anything Goes” who kept the dance floor busy until the early hours.